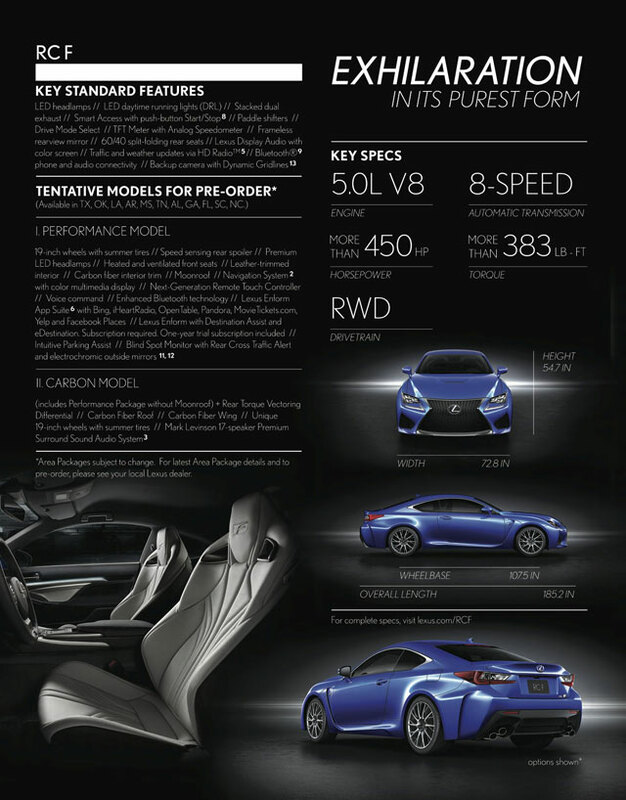 Lexus dealerships in the USA have received the first edition of the RC & RC F pre-order guide, and there’s plenty of new information included in the four-page brochure. There’s no pricing information released, but here’s all the information regarding the RC F, including the tentative packages available for TX, OK, LA, AR, MS, TN, AL, GA, FL, SC, and NC. Lexus Cohen: Come on Lexus, stop messing around.